You need only glance at its corporate history to appreciate that Plank is synonymous with constancy: Founded back in 1893 the firm, which has always been family run, began serial production of wooden chairs in 1953. It has constantly kept abreast of technological developments, rapidly moving from its initial heavy reliance on craftsmanship to a focus on industrial production. Plank’s current profile was shaped by its many years of cooperation with selected renowned designers such as Konstantin Grcic, Naoto Fukasawa and Biagio Cisotti + Sandra Laube. The result: chairs, stools and table systems that not only boast a striking character but are practical to boot, and what is more can be used both indoors and outdoors. 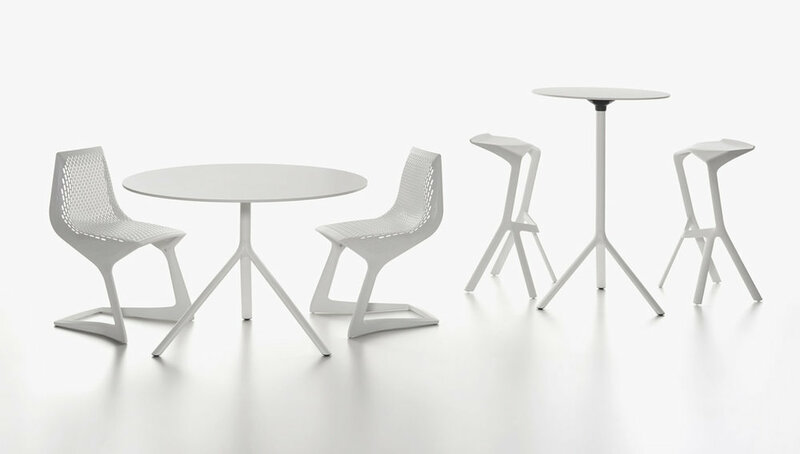 One such example is the Miura table by Konstantin Grcic, which was originally developed as a table for the Miura stool, but has emerged as a stand-alone, flexible table system. 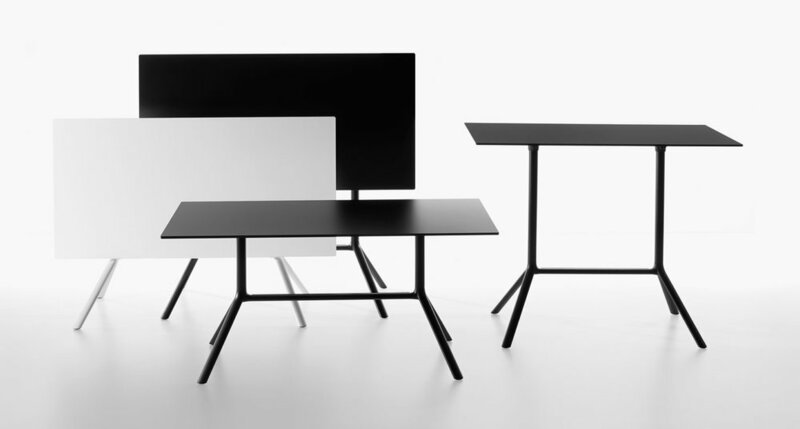 Foldable and easy to assemble, the minimalist table is extremely functional. 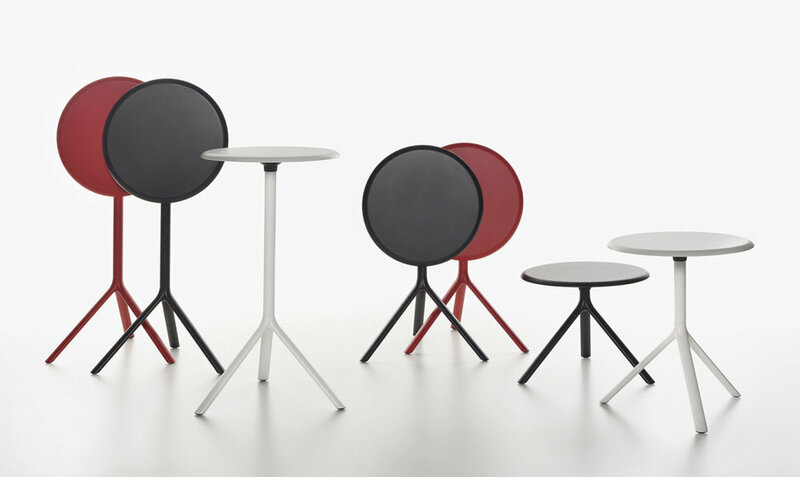 The laminate, metal or MDF tabletop rests on powder-coated metal tripod legs. For dismantling, the legs can be easily removed from the central threaded rod. Color accents can take the form of a tabletop in black, white or traffic red. And for easy handling, Plank has developed a carriage on which the folded tables can be transported stacked behind one another.